Pull start. Commonly used for (but not limited to) 400cc, 500cc and 700cc engines, such as the Hisun 400cc, Hisun 500cc and Hisun 700cc 4x4 ATVs, as well as many other clones, rebrands and similar displacement machines. 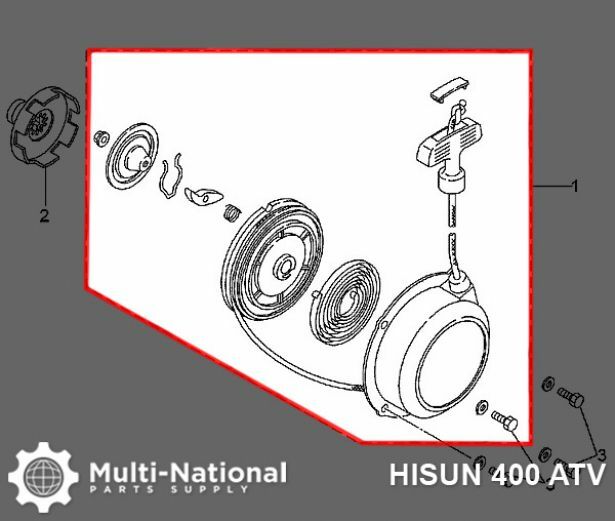 Common Hisun model names are primarily listed as variations of "Hisun 400cc ATV", "Hisun HS400ATV", "HSUN HS400 E-mark EFI", "Hisun 500cc ATV", "Hisun HS500ATV", "HSUN HS500 E-mark EFI", "Hisun 700cc ATV", "Hisun HS700ATV" and "HSUN HS700 E-mark EFI". Common listed Hisun pull start part number is 24400-003-0000 and ERP part number is 24400-003-0000. Also applies to some other variations of Hisun models. Common Nordik model names are primarily listed "Nordik Storm 400 EFI ATV", "Storm 500 EFI ATV" and "Storm 700 EFI ATV". Common listed Nordik pull start part number is 24400-003-0000 and ERP part number is 24400-003-0000. Also applies to some other variations of Nordik models. Common Powermax model names are primarily listed as "Powermax Bearclaw 400 ATV", "Powermax Bearclaw 500 ATV" and "Powermax Bearclaw 700 ATV". 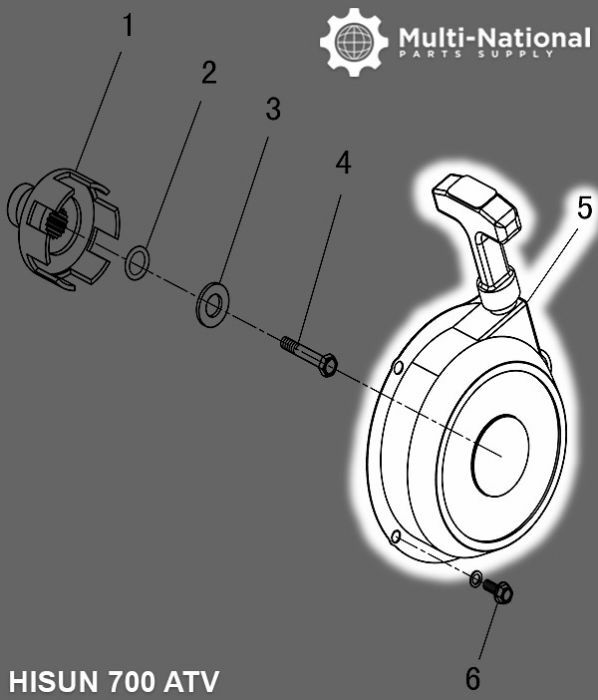 Common listed Powermax pull start part number is 24400-003-0000 and ERP part number is 24400-003-0000. Also applies to some other variations of Powermax models.